Act #64: Live your conscience. 1. Give someone CPR. If I were that nursing home administrator I might have quickly checked if this particular patient had a DNR (Do not resuscitate) form and then I'd definitely perform CPR on her. 2. Allow my teenager to have a sip of beer. I hope to someday alleviate that built-up, pent-up excitement that comes with turning 21, being away from home, and having the freedom to binge drink. 3. Hire someone because they are gay. Well obviously they'd have to be qualified, but I'd be excited to hire anyone who could bring a diversity of perspective and experience to the table. 4. Evade draft. One time I applied for a job with the State Bureau of Investigations and got through much of the application process, only to be completely eliminated when I could not answer yes to this question: Could you shoot to kill? I doubt I'd be any good in a war situation. 5. Protest. Peacefully of course. If that was the only way I could get my point across. Handcuffs could be fun, right? 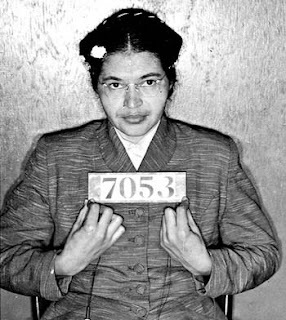 What law would you be willing to break in order to do something you believe in? 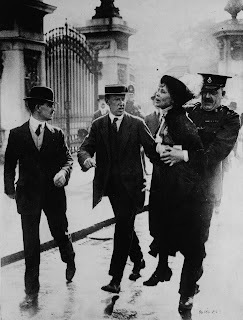 Emmeline Pankhurst (née Goulden; 15 July 1858 – 14 June 1928) was a British political activist and leader of the British suffragette movement that helped women win the right to vote.